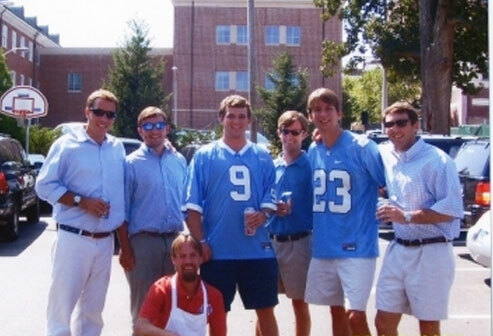 Beta Chapter of Phi Delta Theta at UNC - BASKETBALL SEASON IS HERE! The Tar Heels are off to another great start in 2015. Rounding out their season so far with a 12-4 record, the ‘Heels take on NC State Wednesday evening, and host Virginia Tech this coming Sunday. Their full schedule can be found here. UNC moved up to number 15 in this week’s Associated Press Top 25 Poll, helped majorly by their win over #5 Louisville. They are one of only 5 ranked ACC teams and are up from last week’s somewhat disappointing #18 spot. The Tar Heels have ranked in the Top 10 in the AP poll in 52 of the poll's 66 total seasons- including 46 of the last 49. UNC finished in the AP Top 10 34 times, including 23 of the last 34.